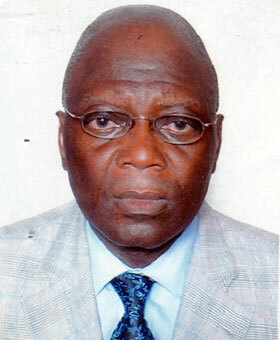 Dr. Seth Adeniyi Obigbesan is a consultant general surgeon at St. Emmanuel Hospital. He obtained his M.D from School of Health Science University of Athens Greece in 1979 and did his fellowship training at Arethion University Hospital in Greece. He is a fellow of the Greek College of Surgeons, West Africa College of Surgeons and International College of Surgeons Member laparoscopy society of North America. He has served as visiting consultant in general surgery at the National Orthopedic Hospital, Igbobi and also Medical General Hospital Ikorodu, both in Lagos state. He has also published local and international papers special interest in endocrines and gastro intestinal surgery. His interests include reading and tourism. After one year internship and another 1 year of national service, he worked briefly in Lagos as a medical officer before proceeding for his post-graduate training in surgery and then urology at the prestigious University College Hospital, Ibadan. He was awarded the DAAD scholarship in 2004 and worked as a guest resident doctor at the MedizinischeHochschule of Hannover (MHH), Germany in 2004 and 2005 as part his residency training in urology under the supervision of Professor Udo Jonas. His focus was on endourology and urologic oncology especially kidney cancer. Dr. Ikuerowo is a fellow of the West African College of Surgeons and an associate fellow of the Faculty of Surgery, National Post-graduate Medical College of Nigeria. He is a member of several local and international medical associations. He is currently a senior lecturer at the Lagos State University College of Medicine and Consultant Urologist to the Lagos State University Teaching Hospital, the positions he has assumed since 2006. He also works as a visiting Consultant Urologist to some privately-owned hospital in Lagos including St Emmanuel Hospital. He is married and blessed with 3 daughters. 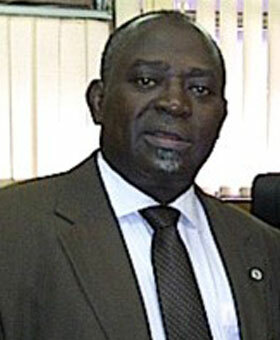 Professor Wole Atoyebi is the current Provost of the College of Medicine of the University of Lagos and an alumnus of that College. He obtained the MB, BS degree with Honors in 1977 having passed all professional examinations with distinctions. He commenced his postgraduate training in Surgery in 1981 and bagged the prestigious Fellowship of the National Postgraduate Medical College in Surgery (FMCS) in 1990 and thereafter the Fellowship of the West African College of Surgeons (FWACS). He is also a Fellow of the International College of Surgeons (FICS). He has been a consultant Surgeon to St. Emmanuel Hospital for the past 20 years. He is married to Dr. (Mrs.) Toyin Atoyebi and they are blessed with 4 children.